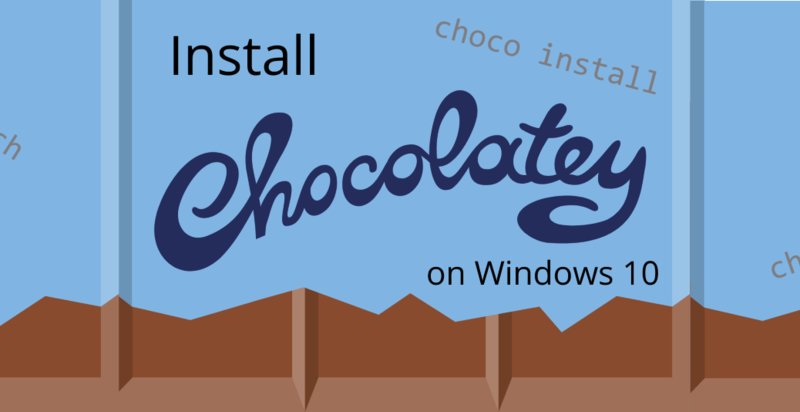 In this article, I will show you how to install Chocolatey on Windows 10. Chocolatey is an easy-to-use Software Package Manager for Windows similar to apt on ubuntu/debian or brew on OSX. Paste the following command into Powershell and press enter. Choco is now installed and can be used from a PowerShell prompt or a regular command prompt windows to install many different software packages. Whichever one you use, just make sure you run choco from an elevated powershell/command prompt window. 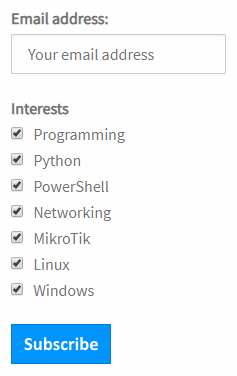 You can search the choco repository to see exactly what software chocolatey can install. C:\>choco search hugo Chocolatey v0.10.8 hugo 0.32.2 [Approved] Downloads cached for licensed users pcwrunas 0.4.0.20161129 [Approved] Downloads cached for licensed users lightworks 14.0.0.20171007 [Approved] 3 packages found. Passing in the -v flag will give you more detailed information about each package. I commonly use choco to install & update Hugo and sometimes Python3. Hugo is a excellent Static Website Generator written Go. Let’s try installing it! C:\WINDOWS\system32>choco install hugo Chocolatey v0.10.8 Installing the following packages: hugo By installing you accept licenses for the packages. Progress: Downloading hugo 0.32.2... 100% hugo v0.32.2 [Approved] hugo package files install completed. Performing other installation steps. The package hugo wants to run 'chocolateyInstall.ps1'. Note: If you don't run this script, the installation will fail. Note: To confirm automatically next time, use '-y' or consider: choco feature enable -n allowGlobalConfirmation Do you want to run the script? ([Y]es/[N]o/[P]rint): y Downloading hugo 64 bit ... The install of hugo was successful. Software installed to 'C:\ProgramData\chocolatey\lib\hugo\tools' Chocolatey installed 1/1 packages. See the log for details (C:\ProgramData\chocolatey\logs\chocolatey.log). hugo package files install completed. Performing other installation steps. The package hugo wants to run 'chocolateyInstall.ps1'. The install of hugo was successful. C:\>choco upgrade hugo Chocolatey v0.10.8 Upgrading the following packages: hugo By upgrading you accept licenses for the packages. hugo v0.32.2 is the latest version available based on your source(s). Chocolatey upgraded 0/1 packages. See the log for details (C:\ProgramData\chocolatey\logs\chocolatey.log). 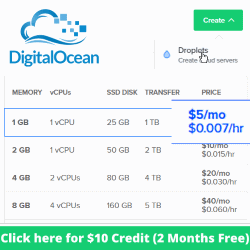 By upgrading you accept licenses for the packages. hugo v0.32.2 is the latest version available based on your source(s). Choco can also upgrade itself. C:\>choco upgrade chocolatey Chocolatey v0.10.8 Chocolatey detected you are not running from an elevated command shell (cmd/powershell). You may experience errors - many functions/packages require admin rights. Only advanced users should run choco w/out an elevated shell. When you open the command shell, you should ensure that you do so with "Run as Administrator" selected. If you are attempting to use Chocolatey in a non-administrator setting, you must select a different location other than the default install location. See https://chocolatey.org/install#non-administrative-install for details. Do you want to continue? ([Y]es/[N]o): Y Upgrading the following packages: chocolatey By upgrading you accept licenses for the packages. chocolatey v0.10.8 is the latest version available based on your source(s). Chocolatey upgraded 0/1 packages. See the log for details (C:\ProgramData\chocolatey\logs\chocolatey.log). chocolatey v0.10.8 is the latest version available based on your source(s). C:\>choco list --local-only Chocolatey v0.10.8 7zip 16.4.0.20170506 chocolatey 0.10.8 chocolatey-core.extension 1.3.1 hugo 0.31.1 4 packages installed. Now that we have covered the basics, let’s look at some advanced choco examples. The -y, --yes switch will make choco install without asking you any questions. This is useful if you are using choco in a batch file or powershell script. The -v, --verbose switch will print detailed package information but the search keyword usually matches multiple packages and it all goes flying by. The -e, --exact flag will narrow down the output to one particular packgae. Adding the -a, --all switch will list all versions of a specific package. The --order-by-popularity switch will sort the search results, most popular packages first. Here is a list of useful software that I use, they can all be installed using choco. choco install 7zip – Archive utility to compress/uncompress zip, tar, gz, bzip and other formats. choco install SublimeText3 – An execellent markdown & source code editor. Thanks for following along, I hope you enjoyed this guide. Installing software on Windows with choco is a breeze. You will never want to go back to the Next, Next, Next, Finish GUI-based software installers. Ad Notice I will receive a small commission that helps support this blog at no cost to you. Thanks for this tutorial! I looked at Chocolatey as a way to make sure deployed software was up to date across our enterprise. At that time (maybe 2015?) it was too complicated and I settled for using Ninite instead. This has showed me how simple to use Chocolatey really is and I will definitely keep it in mind for future uses.